Microsoft has been promoting Docs as the new home of product documentation for a while now. And now a long awaited piece of Exchange 2019 documentation has been published, the Exchange 2019 Preferred Architecture. The Preferred Architecture – or PA – contains information on how to plan and deploy Exchange 2019 using commodity hardware. It also contains more guidelines on deploying Exchange 2019 using its new Metacache database (MCDB) feature; SSDs to store meta data to speed up storage access, improving overall performance and user experience. Still missing in the planning instruments is an updated Exchange role requirements calculator for Exchange 2019, incorporating things like the metacache database etc. I’m pretty sure that is being worked on to be released at a future date. Also quiet convenient is that GitHub being the platform allows the team to provide a feed on Exchange content updates. Really nice to quickly see latest additions and changes in documentation. Today will be a day long remembered, as it has seen the release of Exchange Server 2019. After the Ignite event in September, release of Exchange 2019 was more or less imminent. Well now it’s out there – on Volume License Center to be exact – and while most details were announced at Ignite as well, there have been some features which didn’t make it in part or entirely to RTM. To start with formalities: The version number of Exchange 2019 RTM is 15.2.221.12. After preparing your Active Directory forest, the schema version is 17000, while the forest and domain versions will become 16751 and 13236 respectively. Looking at the VL requirement as well as the dimensioning, it’s clear Exchange server 2019 is positioned as a product for enterprises; small to medium-sized business should aim for Office 365. Volume Licensing only, and no “Hybrid Server key”. 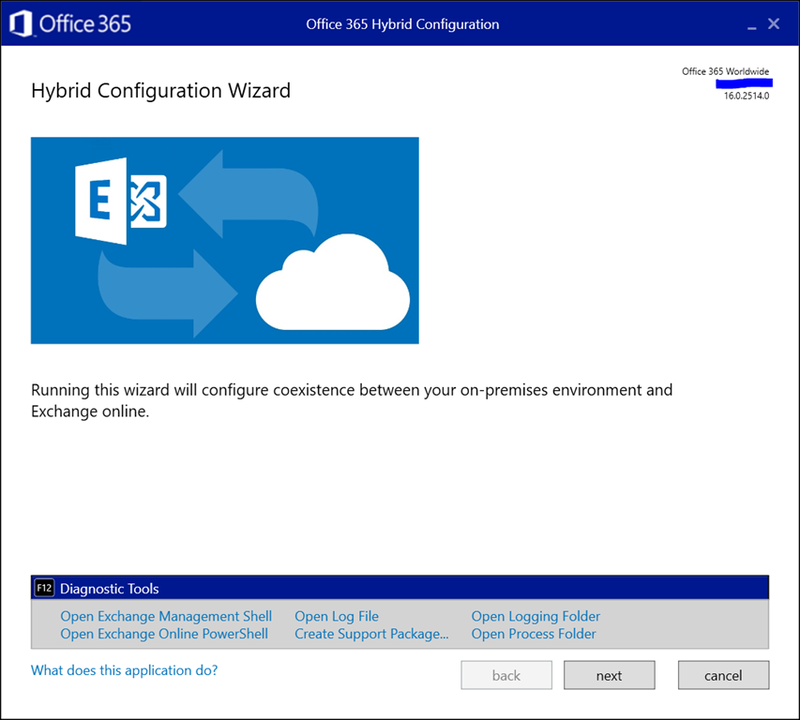 Exchange Server 2019 on-premises is permanently branched from Exchange Online. MetaCache Database (MCDB) storage tiering with SSD’s for improved UX and mailbox density (+20%). Recommended ratio SSD:HDD is 1:3. Dynamic Database Cache to dynamically balance memory over active and passive copies cache. Big Funnel search technology leveraging mailbox database for availability. Supports up to 48 cores, recommended memory 128GB Mailbox/64GB Edge server roles to benefit scaling improvements. Maximum supported memory is 256GB. Requires Windows Server 2019, desktop or core. Requires .NET Framework 4.7.2, VC++ redistributable and UCMA (Mailbox only). Co-existence support with Exchange 2013 and 2016. The official documentation can be found online on Docs here. For an overview of the sessions presented at Ignite on Exchange and related topics like calendaring, see here. You can close the process with taskkill /f /pid <PID>. Do make sure you read the release notes, which contains important information on potential issues. The Exchange Team released the October update for Exchange Server 2016. You may notice the absence of Exchange 2013, which is now in extended support phase and thus won’t receive regular updates. This heads-up was also given together with the updates of June. Version Build KB Download UMLP Schema? Exchange 2016 CU11 – as well as Exchange 2013 CU21 – are supported with .NET Framework 4.7.2; at least .NET Framework 4.7.1 is required for both. Exchange 2016 CU13 (the June 2019 release, December will be skipped) will start requiring .NET Framework 4.7.2, similar to the release of Exchange 2019; Windows Server 2019 will contain .NET Framework 4.7.2. Exchange 2016 requires installation of VC++ 2012 runtime prior to installation. Additionally, when installing the Mailbox role, VC++ 2013 runtime needs to be installed as well. Exchange 2016 CU11 does not contain schema changes compared to their previous Cumulative Update. However, they may introduce RBAC changes in your environment. Use setup /PrepareAD to apply RBAC changes, before deploying or updating Exchange servers.